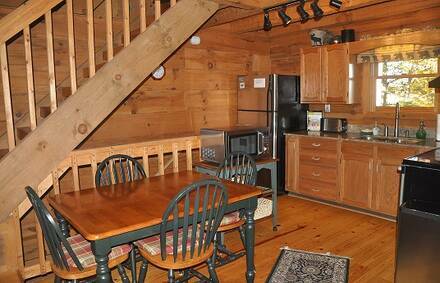 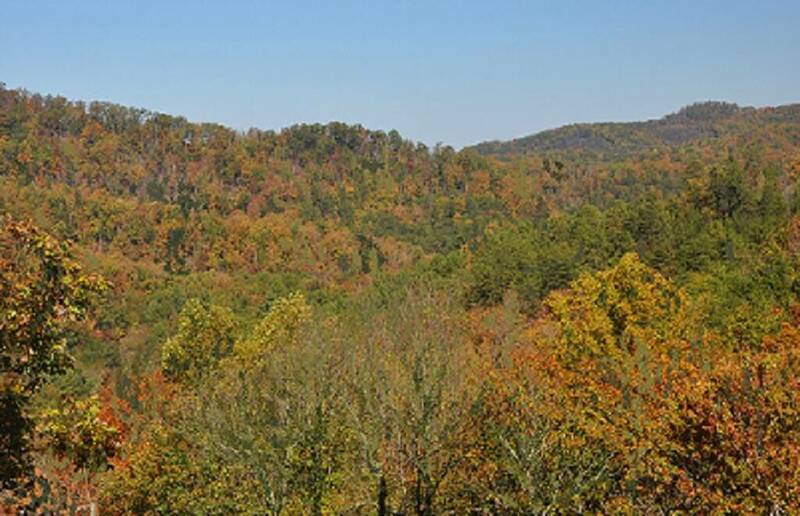 Enjoy some quiet time away at Mountain Bearadise and you will see why black bears call the Smoky Mountains home. 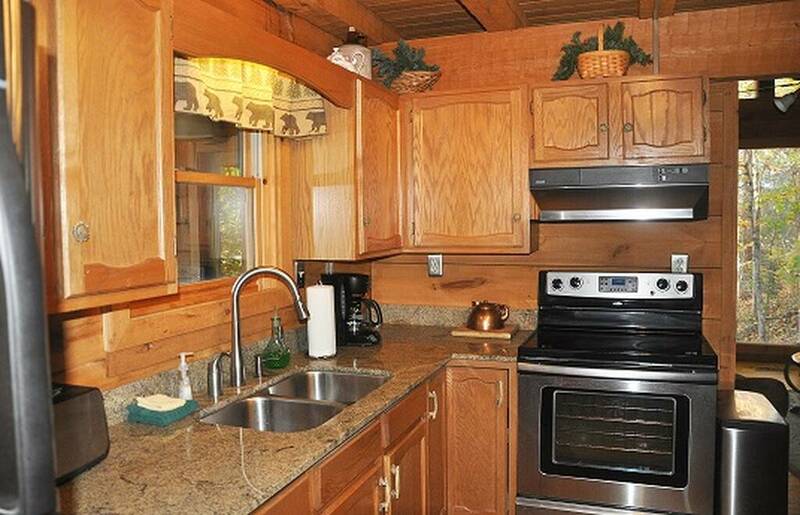 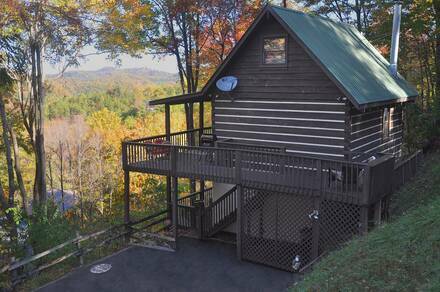 This cozy log cabin offers plenty of privacy with some luxurious extras and makes a great base to explore the attractions in Gatlinburg or for hiking in the Smokies. 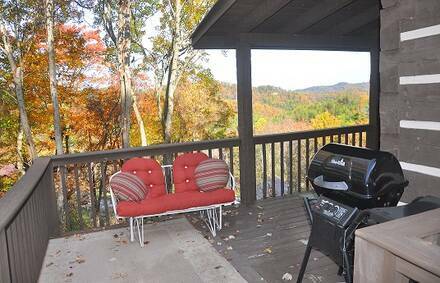 The living room is a delightful place to spend an evening or an entire day thanks to a ceiling-high fireplace with flat-screen television. These are surrounded by comfy chairs and huge windows reaching up to the pitched ceiling. 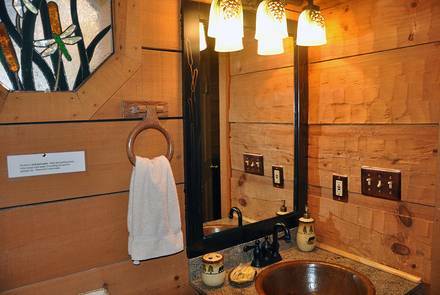 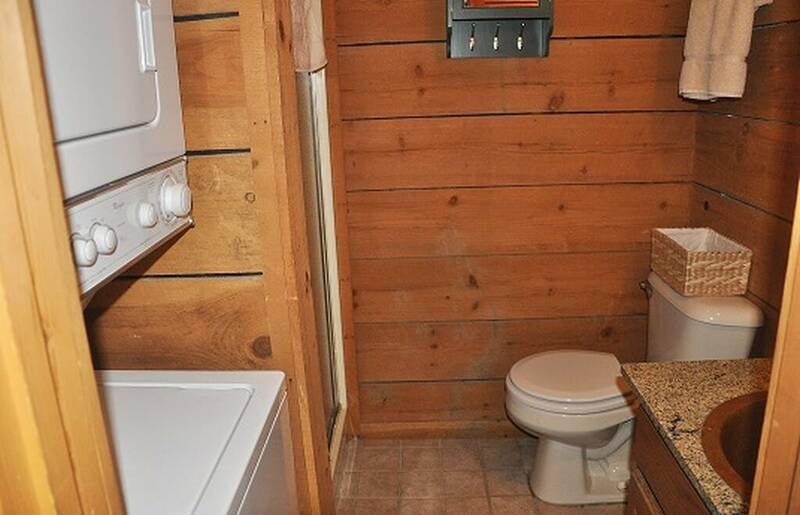 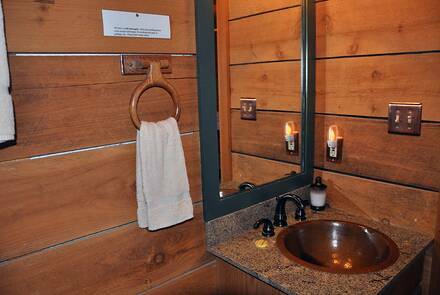 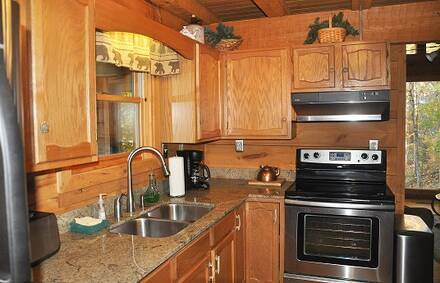 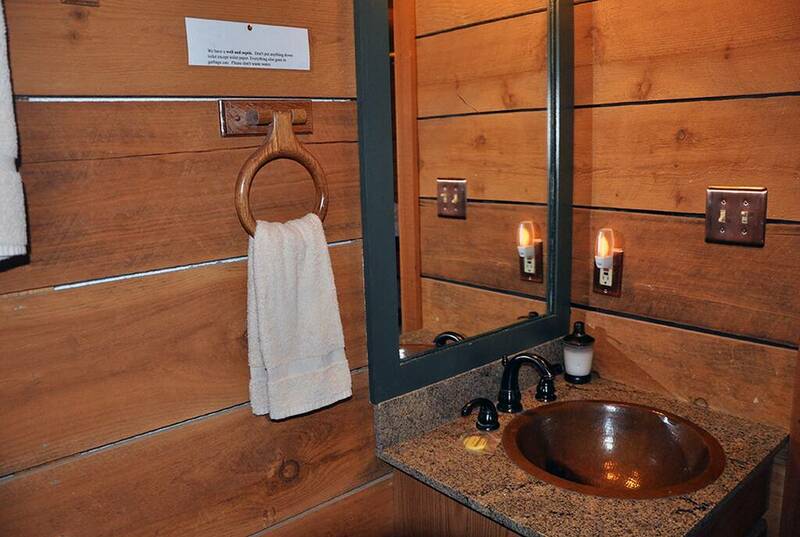 The entire cabin has warm wood paneling and is decorated in a rustic mountain style. 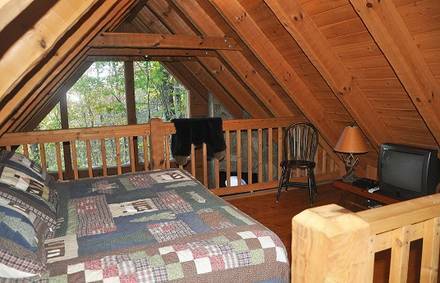 There are two king bedrooms, making this cabin great for either a family or two couples. The pair of bathrooms and full kitchen both have modern fixtures, making it possible to pack a picnic or use the grill to make a special meal and save on the cost of dining out. Mountain Bearadise even has its own game room, with pool and foosball tables begging for a friendly match. 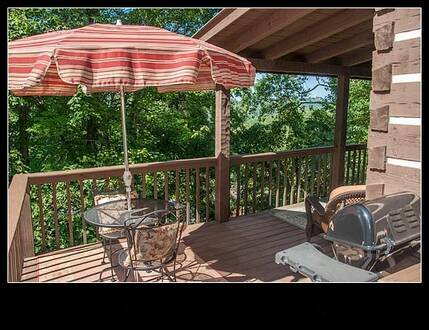 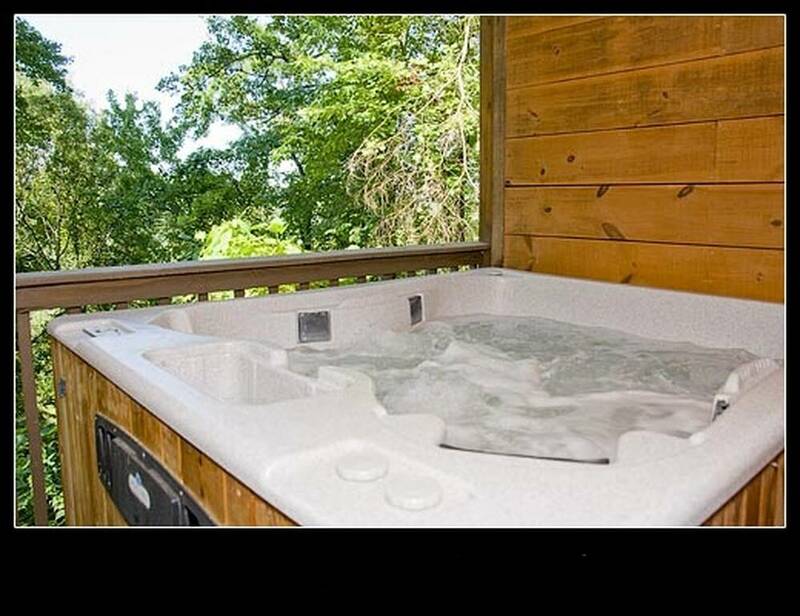 Competing for your time will be the hot tub on one of the two decks, which offer an amazing view of the Smokies. 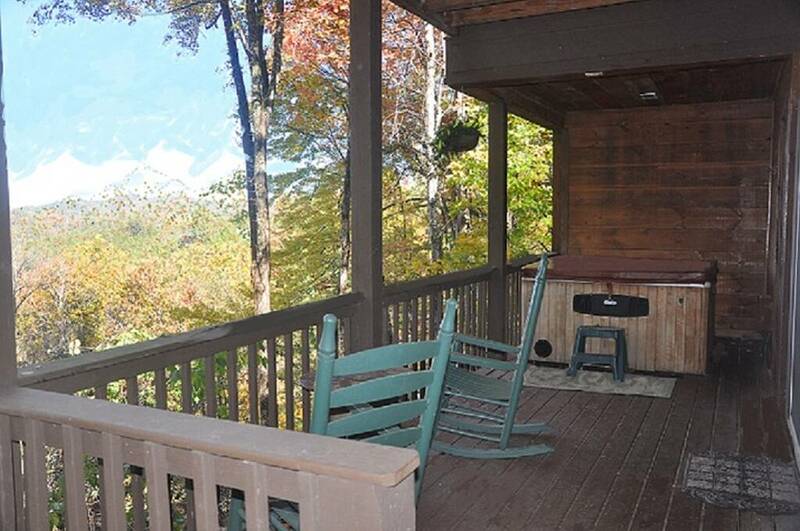 Use the picnic table or two rocking chairs to enjoy the scenery.